A good complete copy, tight. 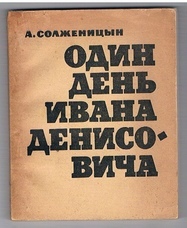 Paper covers with usual browning, small closed tear to upper cover, 13x16.5. 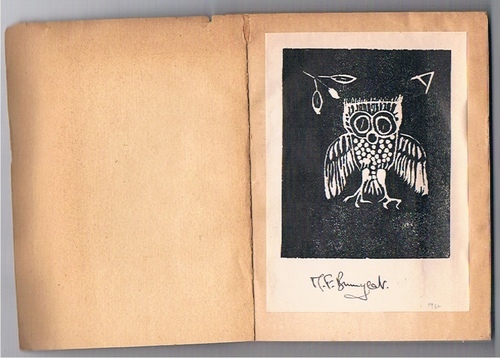 Owner woodcut bookplate to front endpaper. 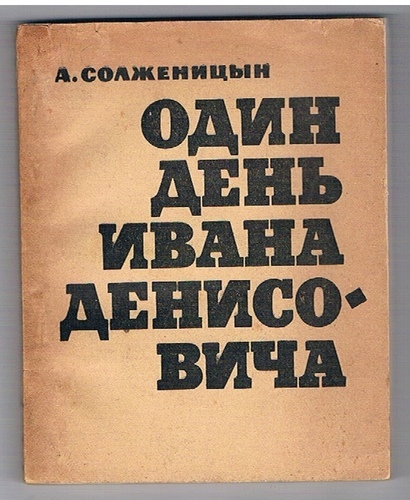 ; This novel was the only one of A. Soltzhenitsyn's works allowed to be published in the Soviet Union. 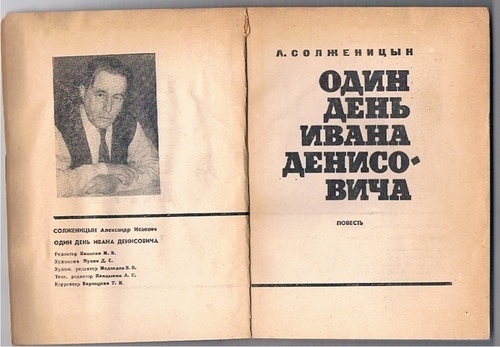 It was first serialized in the influential literary journal Novy mir in November 1962 and issued in this book form the following year. 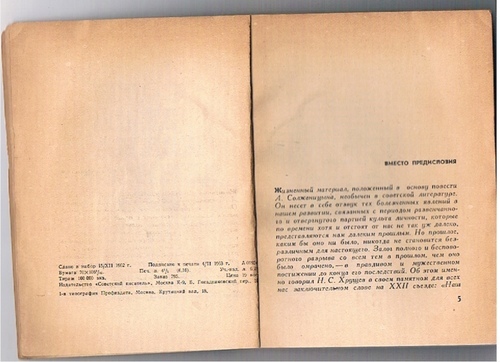 Nikita Krushchev himself approved its publication after some censorship of the text. Sergei Esenin. Gravyuri F D Konstantinova 11 reproduktsii.